Indochina’s elusive saola, a recently discovered and critically endangered relative of antelopes and cattle, now has new hope for survival with the establishment of a dedicated nature reserve in the province today. Quang Nam, Vietnam: Indochina’s elusive saola, a recently discovered and critically endangered relative of antelopes and cattle, now has new hope for survival with the establishment of a dedicated nature reserve in the province today. Quang Nam’s People Committee today agreed to the Forestry Protection Department establishing a Saola Natural Reserve in the Annamite mountains along the border of Viet Nam and Laos. The Saola, described as a primitive member of the bovine family which includes cattle, sheep and antelopes, was discovered only in 1992 by a joint WWF and Vietnam Department of Forestry survey. Threatened by illegal hunting with snares and dogs for its horns, the current population of saola is thought be to a few hundred at maximum and possibly only a few dozen at a minimum. None have survived in captivity. 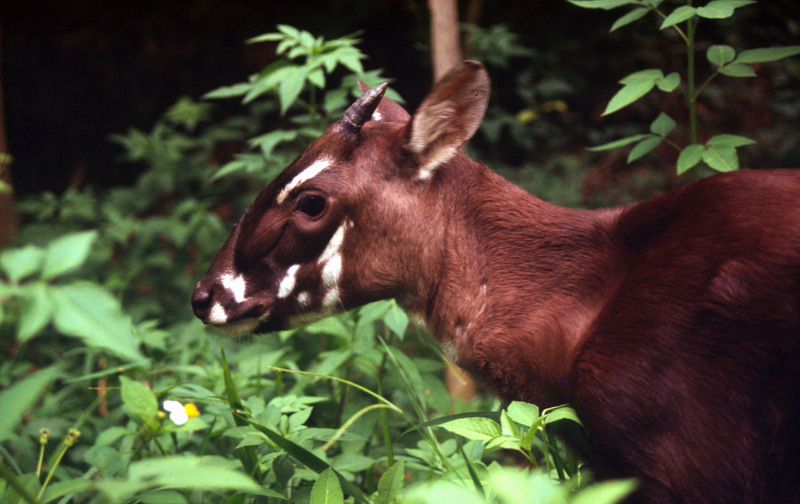 Since the species discovery, WWF has worked closely with Vietnamese scientists, protected area staff and rangers and local communities, to understand the species population status and ecological requirements; identify the threats to the Saola and implement conservation actions to reverse its decline. In response to the alarming status of the species in the wild, WWF Vietnam has worked with Vietnam’s authorities and agencies to promote the establishment of Saola Nature Reserve in Quang Nam, the Saola Nature Reserve in Thua Thien Hue and to extend Bach Ma National Park. “The establishment of this new Saola Nature Reserve shows a strong commitment by the Vietnamese Government and Quang Nam Province in the conservation of this highly threatened endemic species,” said Ms. Tran Minh Hien, Country Director of WWF Vietnam. Protection of the Saola population in this landscape is the highest priority for WWF and provincial authorities. Teams of WWF Forest Guards and FPD rangers are patrolling the nature reserves on a daily basis and have removed thousands of snares and destroyed many illegal hunting camps within the first few months of this new cooperative enforcement programme. The Saola Natural Reserve in Quang Nam is located in an area where the highest point is 1,298 meters characterised by narrow valleys and water falls which creates ideal habitat for Saola. The establishment of the Nature Reserve will promote the conservation of lowland tropical forest ecosystems in the Annamite mountains, which contain many globally threatened species. “We believe that, with the guidance from the People’s Committee, related local Departments and the cooperation with WWF, the Management Board will carry out the Saola’s conservation well which will not only help improve the Saola’s survival but also have long term value in developing and maintaining the biodiversity of the area.” said Mr Dang Dinh Nguyen, Director of Quang Nam Provincial Forest Protection Department and also the Acting Director of the Saola Nature Reserve.